Are you frustrated by a profound sense of apathy from your vendors? Do you spend too much time babysitting and not enough time strategizing? Are your customers and donors suffering in order to fit within the confines of your vendor's business model? Do you constantly struggle with long delivery timelines and poor quality? If this describes you, scroll down to find out how we can help. Named DC's Top Call Center in 2018, we take our approach to tailoring your support needs seriously. From Calls through Live Chat, and everything in between. We have you covered. Decades of experience managing subscription services from order to shipment. Named a Top 3PL Provider for 2019, we store and ship, pick and pack, click and order. 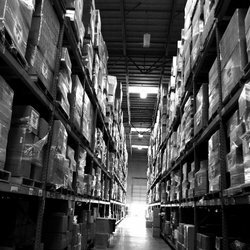 Leave the hassle of warehousing, shipping and order fulfillment to us. Same day deposits and daily reconciliation from someone who understands your business. Not just a bank. Fully PCI and SAS70 compliant, so you don't have to be. From graphic design to custom kitting, hand-work, and structured mail campaigns, Direct Answer offers a complete, one-stop solution to your all of your fulfillment and mailing requirements. Regardless of size, scale, and scope, Direct Answer provides management, mailing, and fulfillment solutions tailored to your organization. We've supported everything from Presidential campaigns to small start-ups. And everything in between. We often know the answers to questions people don't even know to ask. With an on-site, state-of-the-art printing press and finishing equipment, your business cards, letterheads, envelopes, menus, and promotional materials are a phone call away. Same-day service and extremely competitive pricing. Get your logo and information out there! We can design everything from pens and business cards to wraps for commercial vehicles. With over 5,000 vendors at our disposal we can get you the professional appearance you need. You're not a Client. You're a partner. Need Help? Chat With One of Our Team Members! 35,000 square feet of warehouse space, minutes away from one of the largest mid-Atlantic logistics hubs to support all your logistical, distribution, fulfillment, and warehousing and storage needs. "You have an unwavering passion for exceeding expectations and keeping your commitments." Check out our blog and the About Us sections!